During a large apartment or condo painting project, residents can have a difficult time. Pete’s Professional Painting & Power Washing handles our managed property painting jobs with special care. Whether you want to refurbish a multiple building, or a single unit, or just want to refresh common areas in your space such as hallways, we have got you covered. Before embarking on a commercial painting project, we meet with your management team to come up with a plan that suits your residents’ needs and routines. We don’t leave a mess behind, so do not worry about your property getting dirty. Every day before leaving the job site, we clean our workspace thoroughly to leave your property sparkling clean. 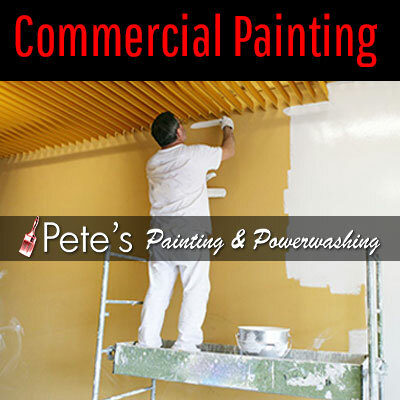 Call Pete’s Professional Painting & Power Washing for local commercial painting projects that won’t disrupt the lives of your residents, leaving everyone happy. We anticipate talking to you soon. Hardwood flooring is stylish and work with most interior décor designs and themes. They are also cozy and make interior spaces feel and look warm, not to mention bringing indoors a natural touch. However, cleaning hardwood floors can be a hassle. Use wax and a steel wool pad to remove tough stains such as shoe marks on hardwood floors, wiping it clean.